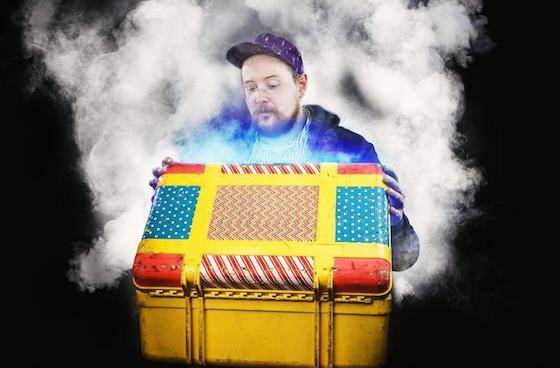 Veteran electronic pop composer Dan Deacon will soon return with his Gliss Riffer album. He's no stranger to the studio, to be sure, but Deacon's also a road-ready workhorse, so it only makes sense that he'd announce a giant tour to coincide with the album's arrival. This week, he'll finish off some dates in Europe before closing out the month in the United States. He'll then take March off before heading out for two months on the road in April and May. The itinerary includes stops all over the continent, with Canadian dates in Vancouver, Toronto and Montreal. In addition to the tour, Deacon has shared "Learning to Relax," an anthemic pop jam from Glass Riffer. You can stream it below, along with its hypnotic visuals. Glass Riffer will arrive on February 24 via Domino.